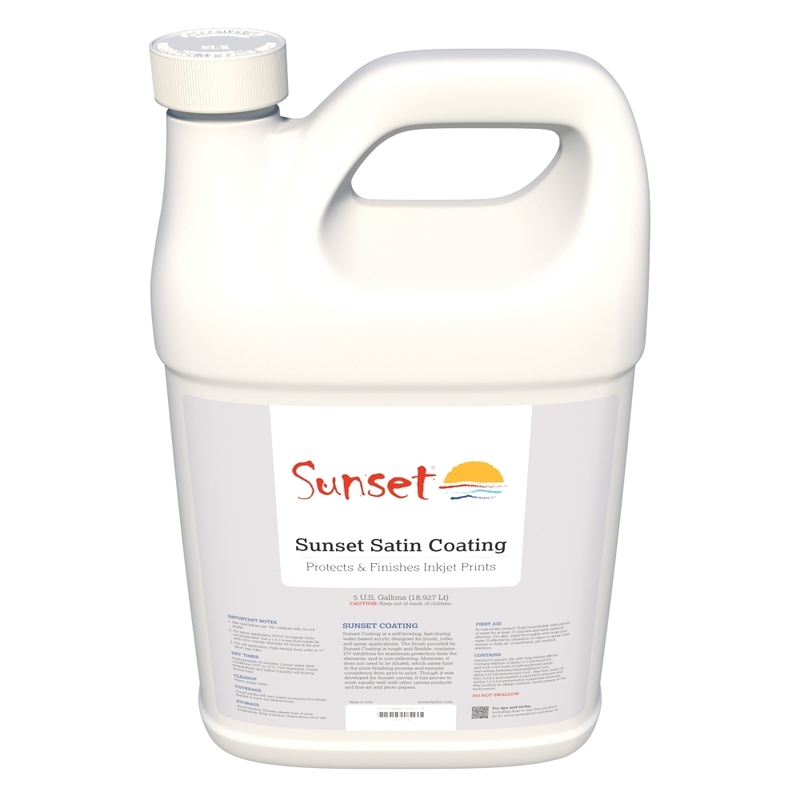 Sunset Satin Coating is a non-yellowing, fast-drying, water-based acrylic coating that adds a tough, flexible layer of protection and a soft luster finish to inkjet prints on canvas and art papers. It can be applied with brushes, high-density foam rollers, or an HPLV paint-sprayer. 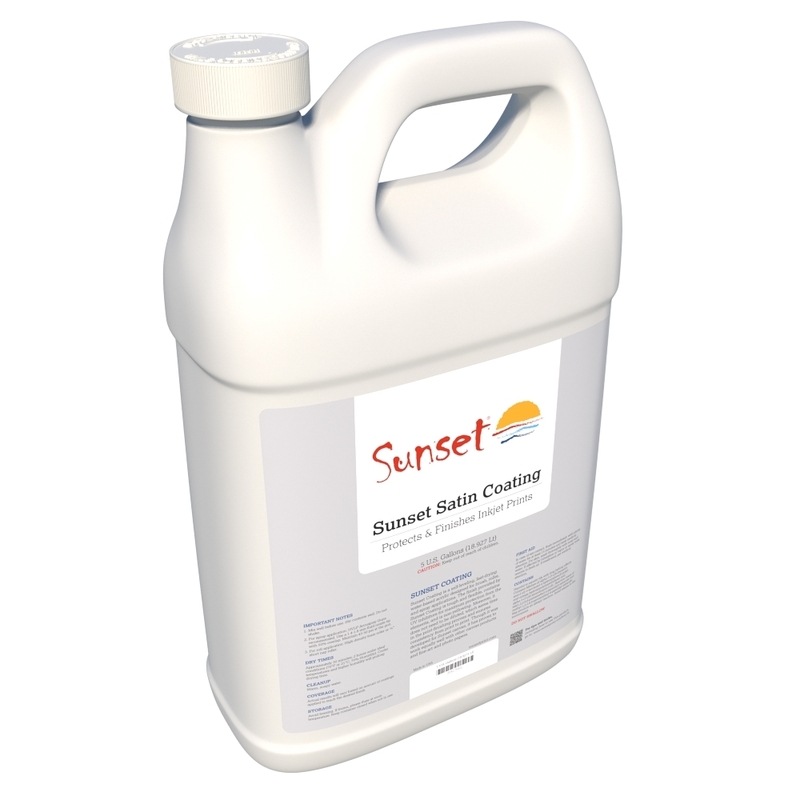 Sunset Satin Coating is ready to use right out of the can, meaning it doesn’t have to be diluted and re-mixed for different application methods. This saves time during the critical finishing stage each print job, and helps ensure that each and every print receives the same degree of protection. The self-leveling properties help minimize streaks and preserve the look of the surface texture of material being protected. Sunset Gloss Coating contains UV inhibitors for maximum protection against lighting-induced fading. The satin finish produces a subtle, natural-looking sheen with minimal risk of glare.